Penny stocks to watch, Sept. 2, 2014: Penny stocks across a variety of sectors have logged impressive gains year to date, led by low-priced stocks in the fuel sector and cannabis market. 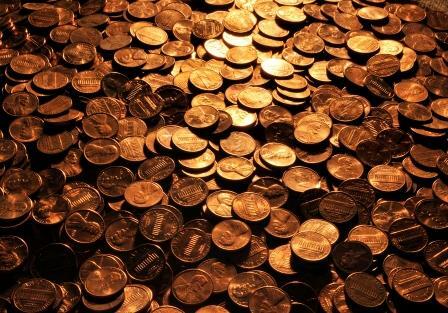 Despite the scams and traps in penny stock investing, there are many penny stocks to watch now, from legitimate companies that generate revenue and have healthy prospects. The key is finding those engaged in niche businesses offering a product that will serve a growing audience. Penny Stocks to Watch No. 1: Ultrapetrol Ltd. (Nasdaq: ULTR) is an industrial shipping company providing marine transportation services in South America, Central America, Europe, North America, and Asia. The company operates in three segments: River Business, Offshore Supply Business, and Ocean Business. The River Business segment owns and operates dry and tanker barges and push boats in the Hidrovia region of South America. Its dry barges transport agricultural and forestry products, iron ore, and other cargoes, and its tanker barges carry petroleum products, vegetable oils, and other liquids. Second-quarter 2014 revenue came in at $99.4 million. Total Q2 adjusted net income and adjusted net income per share were $2.9 million and $0.02 respectively. ULTR has strengthened its balance sheet by repaying its $80 million convertible bond and refinancing its $180 million of long-term notes to $225 million. Both significantly improved the company's financial position and ability to grow through acquisitions. ULTR has also expanded its offshore fleet from 11 to 14 vessels, while diversifying its service offerings to include more "complex higher margin capabilities." The Bahamas-based company has made progress improving the outlook for its River Business by including certain time charter contracts and infrastructure less sensitive to climate conditions or cargo availability. Stifel Nicolaus rates the stock a "Buy," with a $4.50 price target. That's a potential 35% increase from the ULTR's current price of $3.37. I've been watching 3 companies as of late who has has seen major gains since 2015. First company Golden Age Resources (GDAR) a solar sub penny stock to watch in 2015. The company has already initiated its plan to deploy solar in Mexico. Next company is DirectView Holdings Inc. (DIRV) a security camera surveillance who has just recently announced their plan to enter the body/wearable camera market. And Lastly, Blue Line Protection Group (BLPG) a security and protection penny stock in the cannabis space. All 3 of these stocks I have made a nice profit with since the start of 2015.